And here we are again, FGF fans…staring longingly at a new weekend. Two whole days off work are stretching out before us, like a perfect ribbon of singletrack through early autumn fields. We are already daydreaming of riding long and far, short and fast, and slow and boozy. In the grand scheme of things, in a week of sad, heartbreaking and downright frightening news, the weather is a minor inconvenience, but it is still a kick in the titanium nuts and bolts when even Facebook is taking pleasure in telling you to stay dry. What’s on my mind? WHAT’S ON MY MIND? Dreams of dust and sunshine are on my mind, Facebook. Thanks for asking. Still, all is not lost. Dugast the Butler actually quite likes cleaning bikes, and we are treating him to a new yellow sponge for weekend duties. Every cloud, or something like that. Righto, kids. Enough moaning about the weather and on to more important things. Before we get stuck into another bumper round of Freshies, here’s a little bit of ride motivation, courtesy of State Bicycle. Ripping! First off, the good stuff has been pouring into grit.cx’s American outpost, and home to our esteemed Editor, Karen. Rather than me waffling on for the entire story, you even get the pleasure of her words. Karen here. Not being based in the home office has its advantages: I get to sleep in way later (five hours later, to be exact), and cool stuff from US companies sometimes lands at my door rather than traveling all the way across the Atlantic. I’ve been told that a certain amount of silliness is encouraged in FGF posts. Going by recent examples, photobombing by dogs is also good. So here we go. Can’t wait to ride in these same woods. The inward-facing white parts of the Sklar frame are especially striking. To celebrate the release of this limited edition of components, Paul himself commissioned a bunch of handmade frames in two flavours: “Mountain bikes or monster cross bikes—my two favorite kind of bikes.” All of the frames sport paint jobs heavy on red and white, to set off the shiny blue anodizing and to celebrate the fact that these parts are made in the U.S. of A. Left, Tall Handsome Seatpost and Seat Collar; right, Sklar logo and trick white housing. So, I’m currently in temporary possession of a beautiful handmade steel machine by wunderkind builder Adam Sklar, bedecked in blue bits. 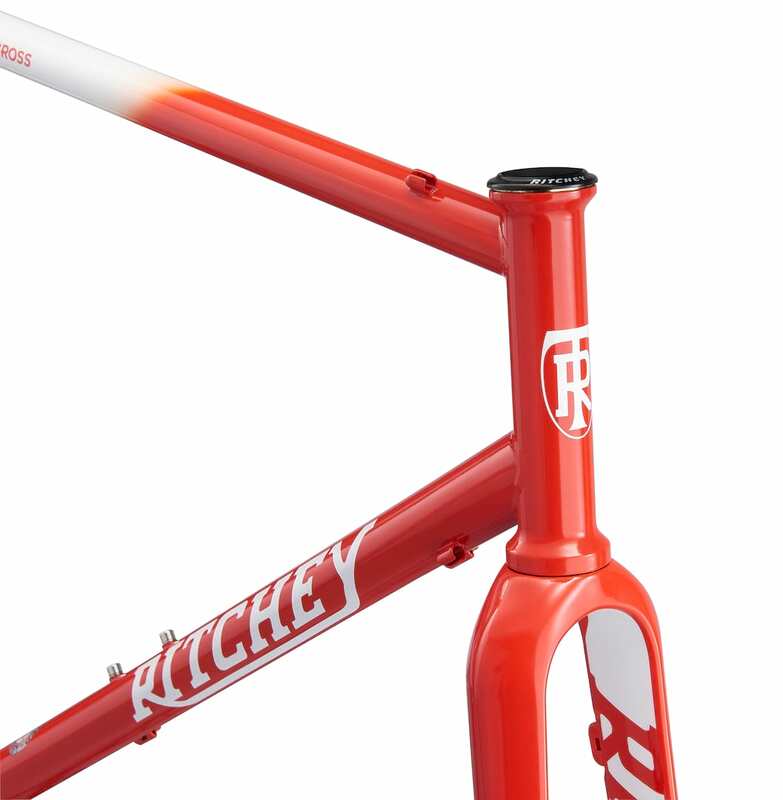 We’ll talk more about the Sklar frame later. But for now, the blue bits. Apparently, there was a PAUL Camp to introduce these pretty parts…I wasn’t invited. But I’m not bitter—instead of riding the bike for only a couple days, I’m looking forward to weeks of quality time with it. And our weather should be Cali-perfect for at least a few days out of those weeks. I’m skeptical of bar-top levers, but this one is just so dang purdy. Don’t know about you, but I could stare at CNC marks on anodized aluminum parts for hours. I’m especially excited about the Klamper brakes. As a long-time user of cable-actuated disc brakes on a ‘cross bike…with mixed results…this will be my first try of a high-end set from a small builder. Wish me happy Klamping. On the right, we can see that the rear brake and frame come complete with Real Californian Trail Dust™. With a name like Showers Pass, you can’t go wrong for rainwear. I am the proud owner of a men’s (or unisex) Refuge jacket already…or was. It never really fit, so I gave it to my husband. So this is another welcomed test product. The day these items arrived brought an end to a streak of rainy weather that has seemingly lasted since March. Go figure. [Tom here again. Karen, you aren’t winning many fans this side of the Atlantic with statements like that. We’d get the violins out, but it’s raining too hard]. “Luckily” by the time I photographed them, the skies were cloudy again, and in fact, I got to start testing the jacket right away. The Gravel shorts are comfy right out of the box. They somewhat resemble ’90s mountain bike baggies, which is not a bad thing. Baggy, but not too baggy. Frankly, I’m not sure what makes a short gravel-specific, but that’s why were here: to test and answer these sorts of questions for you. …and the Byway, a 650b ‘Road Plus’ tyre in 47mm. WTB kindly also included the new in-betweener 32mm size of the Exposure, a high-end tyre for rough roads. Left, more rough; right, less rough. Like it says on the display cards, all of these tires are TCS models, which stands for Tubeless Compatible System. It’s nice to see such a wide range of gravel/rough-road tyres available for tubeless setups—it makes a whole lot of sense for these sorts of uses. Photography assistant: Jack the dog. He did well—no products were chewed during the shoot. And with that, I’d best get to riding! Closer to home, and Tech Ed Tom, is drowning under the weight of swag ready for test. Already slightly less than fresh, Tom picked up this Kinesis/Lauf mash up while down at Brighton Big Dog last weekend. It had a tough first ride – it turns out a six hour mountain bike race is hard going on a gravel bike. Luckily he was paired up with Oli P from Morvelo, and they both got to enjoy a beer or two between laps. The bike handled the course well and, in fact, the only dodgy moment occurred when the key snapped off in Tom’s cheap cable lock as he went to remove the bike from the train home. Awks, as the kids say. Thanks to Leeds Station platform staff, who found a pair of bolt croppers, quick sharp. Fortunately the bike came out unscathed and ready for our usual test terrain of muddy trails, gravel and road. The Tripster ATR (adventure, trail, race) is now in its second incarnation and is the model on which Hannah’s recent Tripster AT test bike is based on. We are interested to find out whether the ATR simply feels like a lighter version of its aluminium younger sister or whether the magical qualities of titanium shine through. We weren’t actually planning to test the ATR so soon, but Upgrade is now the UK distributor of Lauf suspension forks. The Lauf Grit is the firm’s gravel fork and should be a perfect fit for the Kinesis frame. Based around a carbon leaf sprung suspension design, the Grit gives 30mm of travel, which should take the sting out of lumpy trails and the edge off harder hits. As always, there’s so much to talk about here, you’ll have to keep an eye out for a full First Look story soon. And here is the wonderful Mike Hall to give you a little more inspiration. We are sure that we could all #bemoremike this weekend. In what was clearly a calamitous week for Tom, he dropped his phone and smashed the screen, mid-ride. In a classic case of closing the door after the horse has bolted, he’s keen not to repeat his stupidity. Fortunately Quad Lock are on hand. Their tough case not only offers additional protection for your phone, it also allows you to mount it to your bars/stem, using a solid looking twist lock. There also heaps of other accessories that use the same mount, so you can quickly swap your phone from bike to dashboard to tripod. 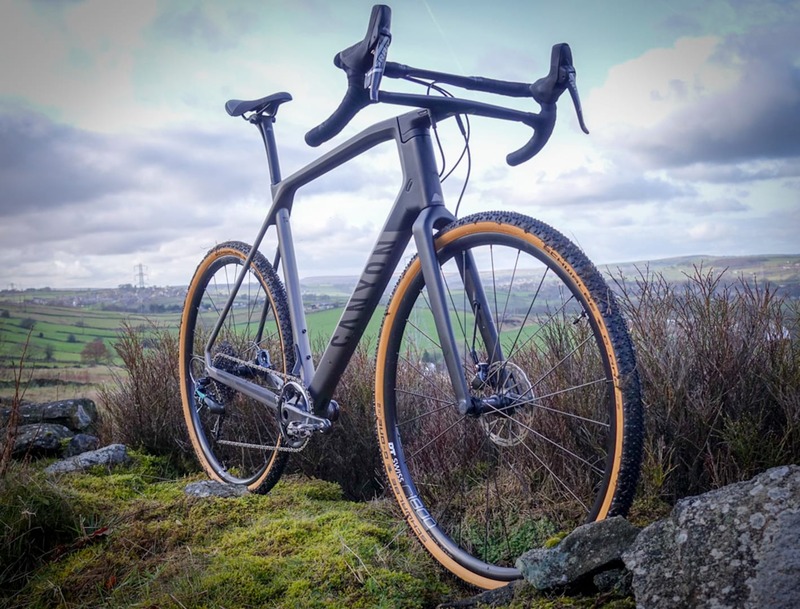 You’ll have already seen the stunning Sven Cycles Pathfinder in earlier posts. Darron from Sven was keen for us to try the bike with a set of high-volume slick tyres as well as the supplied Schwalbe Thunderburt semi-slicks. Tyres come courtesy of Compass, with their Switchback Hill. The 650b tyres come in at a whopping 48mm and feel reassuringly light in the hand. It’ll be like riding on little clouds. The Sven t-shirt is a take on the classic Reynolds logo, and only doable thanks to Sven’s close working with the tubing-meisters. Finally, diabetes comes courtesy of some Sven Cycles rock. Right, you beautiful people, that is that for another week. We’ll leave you with a bit of the ever awesome Wolfmother. Enough looking at bike-related stuff, it’s time for us to ride those bikes. Have a good one y’all and we’ll see you on the flipside.